it provides relief from pain, swelling, inflammation and stiffness. Maha Rasnadi Kwath is an ayurvedic medicine mainly used for diseases of the musculoskeletal system. It mainly acts on bones, joints, muscles and nerves. It is used in pain disorders and arthritis for pain relief. In arthritis, it provides relief from pain, swelling, inflammation and stiffness. 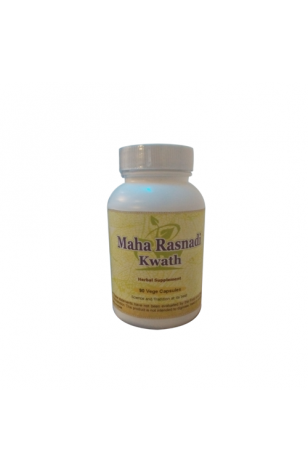 It helps to treat rheumatoid arthritis, osteoarthritis, gout, sciatica, backache.